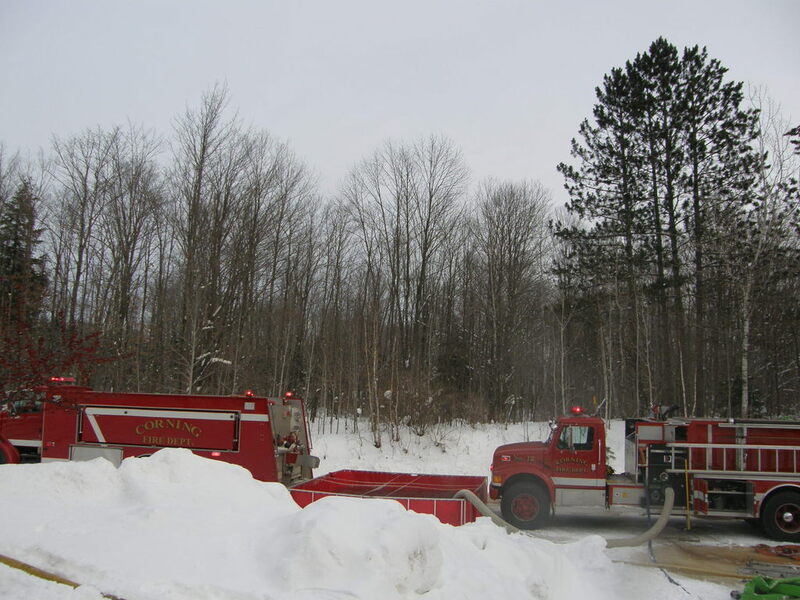 Tanker 2 was purchased in 2002 was paid for by the Town of Corning Fire Department Equipment Fund. In addition to water, Tanker 2 also carries a folding portable tank which allows for dropping a load of water for an engine to use while the tanker leaves for more water. 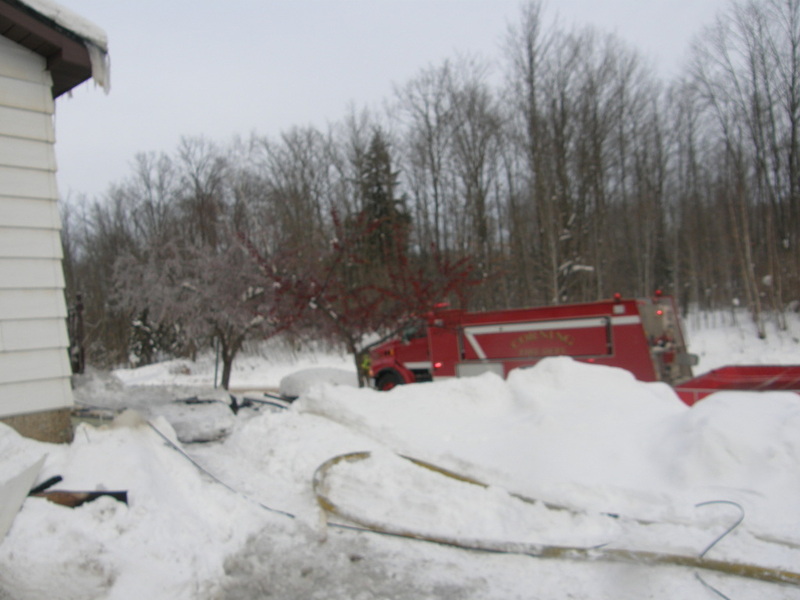 T2 also carries many fittings and adaptors to ensure it can be filled by our mutual aid departments portable pumps. The passenger seat of T2 has been replaced with a "jump seat" which allows the passenger to be in full SCBA gear at arrival. As with all of our units, T2 has a portable GPS unit which serves to direct the driver to the correct address and provide coordinates for a helicopter landing.